BE PREPARED. Make sure you have a resume and if you already have one, make sure it is up to date! Never give an employer a reason to overlook you for something you could have easily changed. Being prepared does not stop at just your resume though. Employers are looking for the best fit for their company. Making sure you are 10-15 minutes early for your interview ensures that you are giving the employer the professional courtesy to start on time. 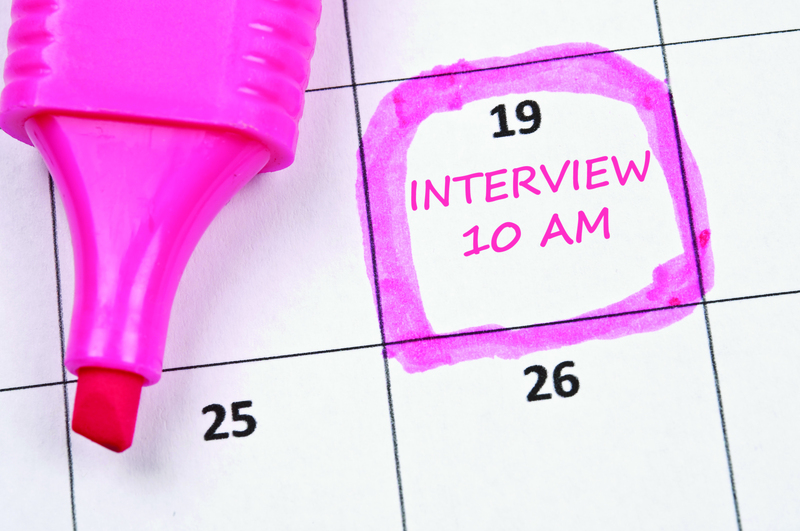 Lastly, you want to be prepared with questions before and after the interview. Jot down your skills before your interview. This will help ensure that you are prepared for the questions that come your way. Find a way to use your weaknesses as something positive. Such as, saying that you over-analyze situation also means that you think through things thoroughly. Prepare three to five questions ahead of time. This is your opportunity to determine if the company and position is the right fit for you too. BE CONFIDENT. No one is going to be your biggest cheerleader besides yourself. You know yourself better than anyone else, so believe in your ability to do the work. With the skills you identified, use them to your advantage as to why you would be a great fit for that position. It is important to always show that you are excited about the position, even if at first it may not be entirely exciting. Employers can easily read your enthusiasm and your character based off the energy you give while answering their questions. Having excitement throughout your interview is crucial because you want to be able to share more than what is on your resume. Ultimately, if you have a great resume but a terrible attitude, the attitude will trump the resume. Always bring your best self with you and prove to them that you were made for this position. DRESS FOR SUCCESS. No matter what type of position you are applying for, the way you come dressed for an interview will always be an employer’s first impression. Dressing professionally, presents yourself to the employer as highly interested. The job you may be applying for might be in an industrial setting where you will be getting dirty. Presenting yourself professionally will show that you are serious about working. That first ten minutes of a first impression tells a lot more about you than you think. BE THOROUGH. Interviews are the first step to receiving a job because it allows the employer to get to know the person before they are on the job. The best way to ensure they can get to know you, is to be thorough with your answers. The interviewer has no idea who you are, so make sure they get to know you by giving as much detail as possible. Vague answers do not help an employer see if you could handle the different tasks the position has by answering with general responses. This is your time to stand out from everyone else, so show them why you are unique. BE HONEST. Never set yourself up for failure. You do not want to “fib” or stretch the truth in order to get a job because you can lose it just as fast as you received it. The truth always prevails and not being honest about your experience will only hurt you are given a chance in the position. An interview can be intimidating, but if you look at it as an opportunity to simply share who you are to a potential employer, you can never lose. Interviews give you a chance to interview a company as well to make sure that they are a fit for you. Take these suggestions and you’ll be well on your way to your future career! Experience the Hatch Staffing Difference.